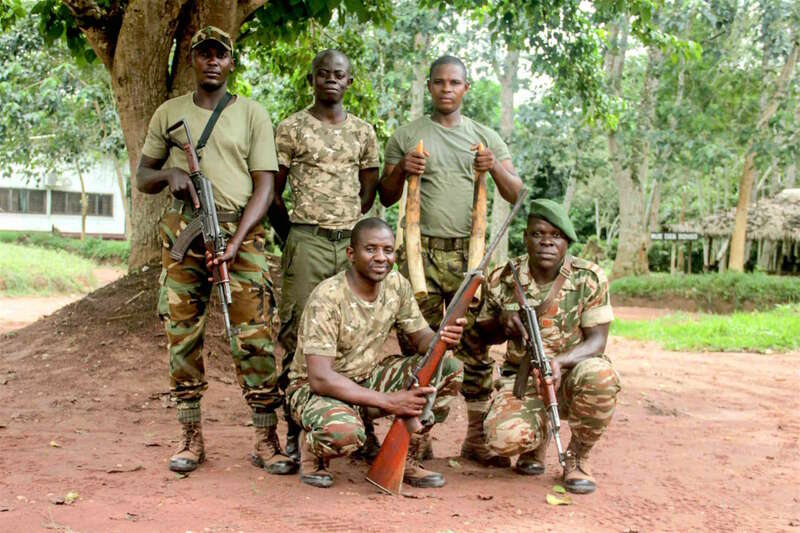 In August 2017 AFEF delivered 119 pairs of boots and 595 pairs of socks to the game rangers in Dzanga Sangha, Central African Republic, to help them better protect forest elephants and their habitat. Rangers in the Congo Basin work in very tough and dangerous conditions so it is vital that they have good quality equipment to ensure that they can carry out their work safely and effectively. We are pleased to say that one year on, all the boots and socks are still being used and none of them have been reported broken. The rangers really appreciate the donation and are taking good care of the boots, which is fantastic news. We are also pleased to announce that, on the night of 09 November 2018, the recently formed rapid response team arrested three elephant poachers, seizing one .375 calibre hunting rifle and two tusks while wearing the AFEF boots & socks. We are proud to see the continuous positive impact our project is having on the ground. This is great news however there is still a lot of work that needs to be done to ensure the long term survival of forest elephants in the Congo Basin. Regarding the long-term sustainability of this project, WWF-CAR have recently signed a number of MOUs, including one with Conservation Justice, an NGO that aims to protect elephants and other threatened species from poaching and wildlife trade by increasing the level of wildlife law enforcement and deterring potential elephant poachers and ivory traffickers from conducting these activities. In addition, WWF-CAR are in the process of developing a community ranger network in Dzanga Sangha to ensure local community involvement and training to further protect the local fauna and flora from poaching, logging and illegal wildlife trade. AFEF are continuing to work with WWF-CAR to help support this important work on the ground so please consider making a donation to help protect forest elephants in Dzanga Sangha as well as their forest habitat.